"Does it ever stop? The wind?" Two women converse over the natural elements and, although it isn't mentioned, the effect it has on their state of mind. This being sometime in the late 1800s, there is no television or radio to distract. This also being the middle of nowhere, there are few others to seek solace in, and those others might not be ones you can trust. The Wind is that rare horror western subgenre, but it understands and uses the elements of both to create an atmosphere that both haunts and terrifies. As a feature debut from Emma Tammi, it is very assured both its interpretation of the screenplay by Teresa Sutherland, and its execution of elemental fears and the psychosis that comes with near perpetual isolation. Lizzie (Caitlin Gerard) and her husband Isaac (Ashley Zuckerman) are homesteaders in late 19th century western USA. They are so far from any neighbours, that Isaac is often gone for days to replenish necessary supplies. Lizzie's only chance at some company was a child; but when their son is stillborn, Lizzie returns to loneliness. That is, until new neighbours Emma (Julia Goldani Telles) and Gideon (Dylan McTee) move into the cabin only a mile away. But having neighbours isn’t always the answer, especially when those neighbours are, as Isaac says, ‘weird’. Isaac and Izzy might have a relatively happy marriage, but Lizzie is still the wife, and a woman, as is Emma, and they are supposed to know their place. So even though Lizzie is suffering from what we might recognize today as postpartum depression, that is of little consequence: she still must keep the home fires burning. But Lizzie notices things: the wind is not just any prairie wind - there is something of a monster in it. And on a lonely plain, demons can seem to come from anywhere, and so many kinds: kinds that encourage jealousy or rage, or ones that shapeshift, or take the forms of the dead. So Isaac thinks it's all in Lizzie's head. But we are with Lizzie when she is alone, and real or not, there are things that terrify. Though perhaps not as much as the strange neighbours, and how Emma goes on and on about how wonderful Isaac is, only adding to Lizzie's growing madness. Tammi keeps up with Lizzie for the film, so we are indeed watching what she watches, being afraid not just for her but with her, and understanding that, just maybe, these things are real: the reverend who comes to their home and wonders why Lizzie has lost her faith (but as she notes, God is probably not interested in what goes on around there), the neighbour who is as deceptive as she is unwilling to put in the real work of surviving alone; and a husband too oblivious to notice his wife's mental illness. 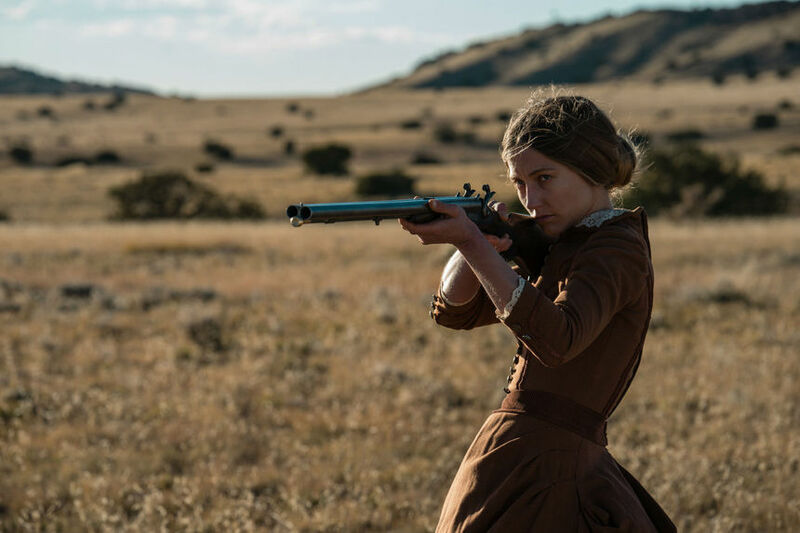 Tammi and cinematographer Lyn Moncrief do show the beauty of the New Mexico landscape, but also do not romanticize it, or the work it takes to survive; and the hardship on the women (which is generally neglected in westerns) is not romanticized either, as Lizzie wonders is any life can be found, with her son in the ground and her husband never there. So when the supernatural elements are added, they pack quite a jump, with jump scares that did indeed make me jump, both physically and emotionally, as well as the creeing scare that won't let go of you, keeping the goosebumps rising for several minutes. Demons come in many form, but it takes only one to scare you enough that you don't know what's realy anymore, in a place that seems determined to take everything from you. 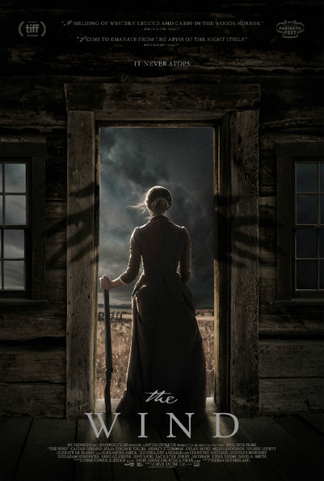 The Wind is a confident, thoughtful, yet creeping and powerful film, with well-earned jump scares and demons both real and possibly imaginary, enough to make you afraid of the dark and the emptiness of even the most beautiful places. Review originally published during the Toronto International Film Festival in September 2018. The film will open in select theaters and on VOD platforms on Friday, April 5, 2019, via IFC Midnight.